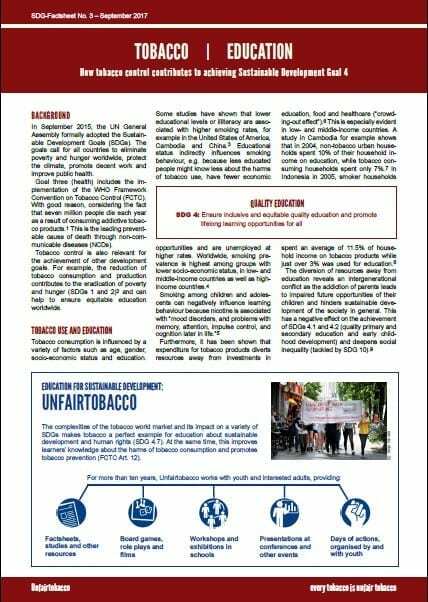 This two-pages factsheet shows how tobacco growing and tobacco use impact children’s education. Tobacco cultivation is very hazardous for children and consumes a lot of working time. Tobacco use of parents can decrease education opportunities for their children. 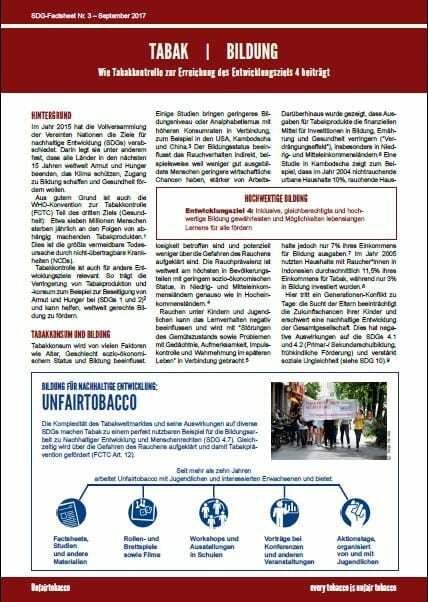 This factsheet also shows that tobacco is a perfect example for education on sustainable development. Both ends of the tobacco value chain point to an intergenerational conflict and a vicious cycle of poverty that needs to be broken.